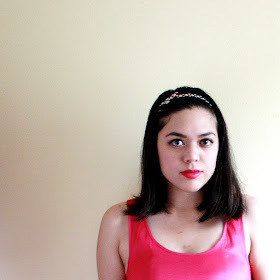 a quick outfit post (from last week!). i got the bow suspender/jumper skirt from betsey johnson at the camarillo outlets a couple of weeks ago. it was fate. i had been wanting to get something like that for a while now, but didn't know where to look. i just got back from san francisco and will post about it soon. :D sorry for the post & run--i have orders i need to finish and errands to run. will catch up with you later!